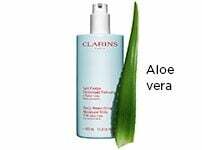 The site www.clarins.co.uk (hereinafter referred to as the “Site”) is an e-commerce site accessible via the Internet network at the address www.clarins.co.uk. It is open to any user of the network (hereinafter referred to as “User”). 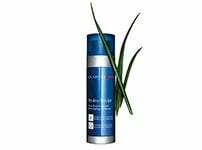 It is published by the company Clarins (U.K.) Limited (hereinafter referred to as the Vendor), a company registered in England and Wales under company number 01580079, 10 Cavendish Place, London, W1G 9DN. 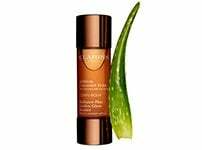 All the offers of products proposed on the Site are limited to www.clarins.co.uk. You will receive a confirmation email and text notification of your booking. Please check the confirmation carefully to make sure that all your booking details are all correct. Please contact the Clarins Skin Spa or BeautyBAR if your confirmation appears to be incorrect or incomplete and we will endeavour to make the necessary changes. If your plans change and you cannot make your appointment, please cancel at least 24hours before the scheduled date. Details of how to cancel can be found on your confirmation email or by visiting your account page. / If you need to change the date or time of your appointment, you will need to cancel the existing appointment and then re-book another appointment. You may do this online or by calling the Clarins Skin Spa or BeautyBAR directly, the telephone number can be found on your confirmation email. Please arrive at the Skin Spa reception 10 minutes prior to your appointment. All Skin Spa appointment times include a 15 minute consultation (excludes waxing) and time for you to change. For BeautyBAR appointments, please allow up to 15minutes on top of your 30min treatment time for a skin consultation. Please be aware that if you arrive late, the time of the appointment will be shortened in consideration of the next person. Please advise us of any health conditions and any medication you are taking. Please also inform us whether you are pregnant and by how many weeks. You may do this by filling out the online health questionnaire at the time of booking or by informing the therapist at your appointment. It is important for us to have this information to ensure we are providing you the very best service and results, while assuring your comfort and safety. Certain treatments or products may not be suitable for you or may need to be adjusted by the therapist. If you have any questions about your health questionnaire or about the treatment that you have booked, please contact your chosen Clarins Skin Spa or BeautyBAR prior to your appointment and a therapist will be able to advise you accordingly. Please note that for certain medical conditions we may require written permission from your Doctor to proceed. 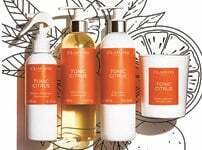 Please speak to the Clarins Skin Spa or BeautyBAR therapist for more information. All health and medical information provided will be kept strictly confidential. The minimum age for treatments is 16. Is it is with regret that we cannot accommodate babies and children in the treatment area of the Clarins Skin Spa or BeautyBAR. Please be advised that due to unforeseen circumstances, your requested therapist treatment may be moved to a suitable substitute therapist. You will be notified if such an event were to occur. Please read these Terms of Service ("Terms", "Terms of Service") carefully before using the ://www.tokywoky.com website (the "Service") operated by TokyWoky SAS ("us", "we", or "our"). If you are a copyright owner, or authorized on behalf of one, and you believe that the copyrighted work has been copied in a way that constitutes copyright infringement that is taking place through the Service, you must submit your notice in writing to the attention of "Copyright Infringement" of team@tokywoky.com and include in your notice a detailed description of the alleged Infringement. Intellectual Property The Service and its original content (excluding Content provided by users), features and functionality are and will remain the exclusive property of TokyWoky SAS and its licensors. The Service is protected by copyright, trademark, and other laws of both the United Kingdom and foreign countries. Our trademarks and trade dress may not be used in connection with any product or service without the prior written consent of TokyWoky SAS. When you upload content, you give to TokyWoky SAS a worldwide, non-exclusive, royalty-free, transferable licence (with right to sub-licence) to use, reproduce, distribute, prepare derivative works of, display, and perform that Content in connection with the provision of the Service and otherwise in connection with the provision of the Service and TokyWoky SAS business. Our Service may contain links to third-party web sites or services that are not owned or controlled by TokyWoky SAS. TokyWoky SAS has no control over, and assumes no responsibility for, the content, privacy policies, or practices of any third party web sites or services. You further acknowledge and agree that TokyWoky SAS shall not be responsible or liable, directly or indirectly, for any damage or loss caused or alleged to be caused by or in connection with use of or reliance on any such content, goods or services available on or through any such web sites or services. You agree to defend, indemnify and hold harmless TokyWoky SAS and its licensee and licensors, and their employees, contractors, agents, officers and directors, from and against any and all claims, damages, obligations, losses, liabilities, costs or debt, and expenses (including but not limited to attorney's fees), resulting from or arising out of a) your use and access of the Service, by you or any person using your account and password; b) a breach of these Terms, or c) Content posted on the Service. In no event shall TokyWoky SAS, nor its directors, employees, partners, agents, suppliers, or affiliates, be liable for any indirect, incidental, special, consequential or punitive damages, including without limitation, loss of profits, data, use, goodwill, or other intangible losses, resulting from (i) your access to or use of or inability to access or use the Service; (ii) any conduct or content of any third party on the Service; (iii) any content obtained from the Service; and (iv) unauthorized access, use or alteration of your transmissions or content, whether based on warranty, contract, tort (including negligence) or any other legal theory, whether or not we have been informed of the possibility of such damage, and even if a remedy set forth herein is found to have failed of its essential purpose. TokyWoky SAS its subsidiaries, affiliates, and its licensors do not warrant that a) the Service will function uninterrupted, secure or available at any particular time or location; b) any errors or defects will be corrected; c) the Service is free of viruses or other harmful components; or d) the results of using the Service will meet your requirements. Without limiting the generality of the foregoing and notwithstanding any other provision of these terms, under no circumstances will TokyWoky SAS ever be liable to you or any other person for any indirect, incidental, consequential, special, punitive or exemplary loss or damage arising from, connected with, or relating to your use of the Service, these Terms, the subject matter of these Terms, the termination of these Terms or otherwise, including but not limited to personal injury, loss of data, business, markets, savings, income, profits, use, production, reputation or goodwill, anticipated or otherwise, or economic loss, under any theory of liability (whether in contract, tort, strict liability or any other theory or law or equity), regardless of any negligence or other fault or wrongdoing (including without limitation gross negligence and fundamental breach) by TokyWoky SAS or any person for whom TokyWoky SAS is responsible, and even if TokyWoky SAS has been advised of the possibility of such loss or damage being incurred. TokyWoky SAS ("us", "we", or "our") operates the ://www.tokywoky.com website (the "Service").